I wasn’t even the least bit tipsy when I went off chasing bubbles like a cat attacking a laser pen’s red beam. Sure, I almost got run over. And, the guys I was with made certain to distance themselves from me while simultaneously pointing and laughing. I wish I were able to get clearer bubble close-ups. 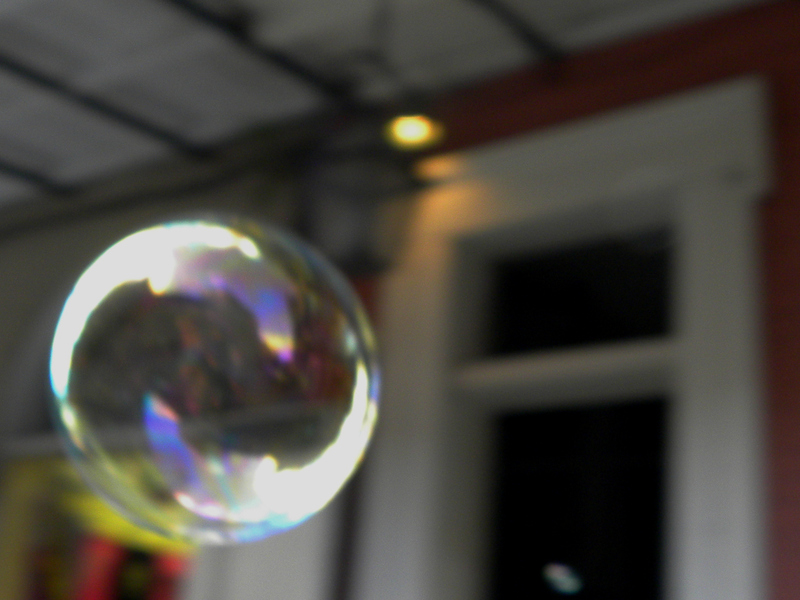 There’s a goal for me: making the perfect close-up bubble picture.